This IC is a system reset IC developed using the CMOS process. Super low consumption current of 0.25 typ. has been achieved through use of the CMOS process. Also, detection voltage is high precision detection of 2% By Mitsumi Electronics, Corp. 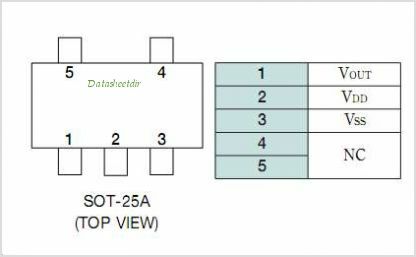 This is one package pinout of PST31,If you need more pinouts please download PST31's pdf datasheet. This is one application circuit of PST31,If you need more circuits,please download PST31's pdf datasheet.